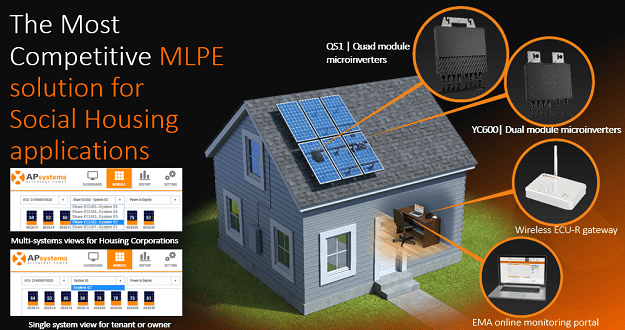 Electronics (MLPE), leading the industry in solar microinverter technology, is partnering with Solar Nederland B.V., a strong northern European distributor in electrical, plumbing, heating and ventilation technology, to offer, via a solid and growing installer network, innovative solar solutions to Dutch and later the Nordic households. Any family willing to improve energy efficiency in their home and save electricity bills through solar can now access affordable, reliable and safe all AC solar systems for their house. Solar Netherlands B.V., is part of the Danish Solar A / S Group. Experts in purchasing and logistics, Solar NL streamline operational efficiency for their customers, working closely with their installation partners to optimize their daily business with tailored services, developing their skills to make sure they stand out from competition and build a more profitable and sustainable business. “We are constantly looking for innovative products, services, digital solutions and business opportunities that can enhance productivity for our customers”. Says Bart Pieters, Sourcing Manager at Solar Nederland. 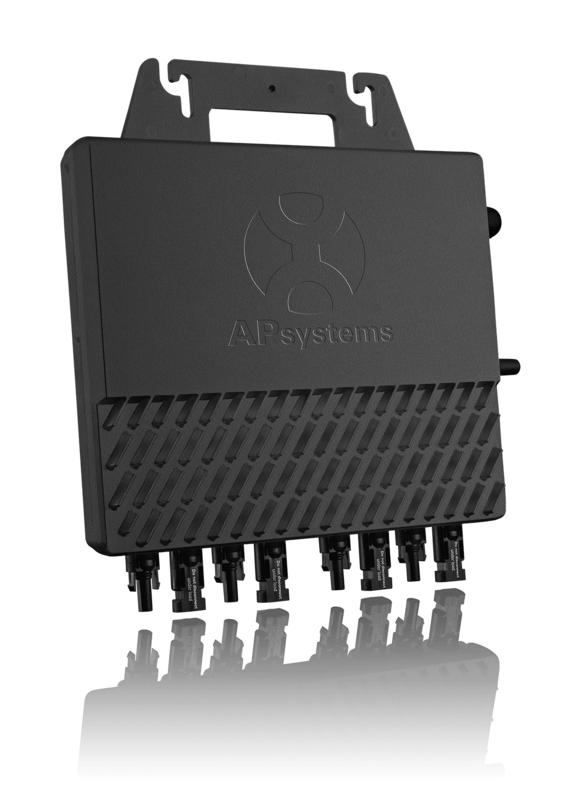 “From this perpective, integrating APsystems‘ Microinverter solutions into our product portfolio, fits in perfectly with this dynamic. We want to offer the best technology available on the market that can not only address the current needs of our customers but also lead them to take a strong position in the emerging smart home revolution we all see accelerating in our sector”. 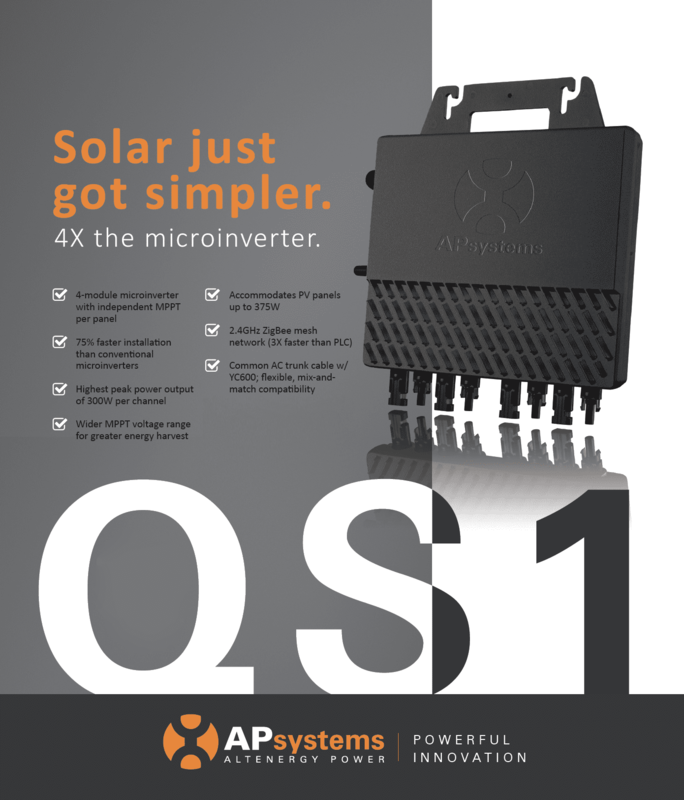 The APsystems microinverter solar solution combines highly efficient power conversion with a userfriendly monitoring interface to bring reliable, intelligent and clean energy. 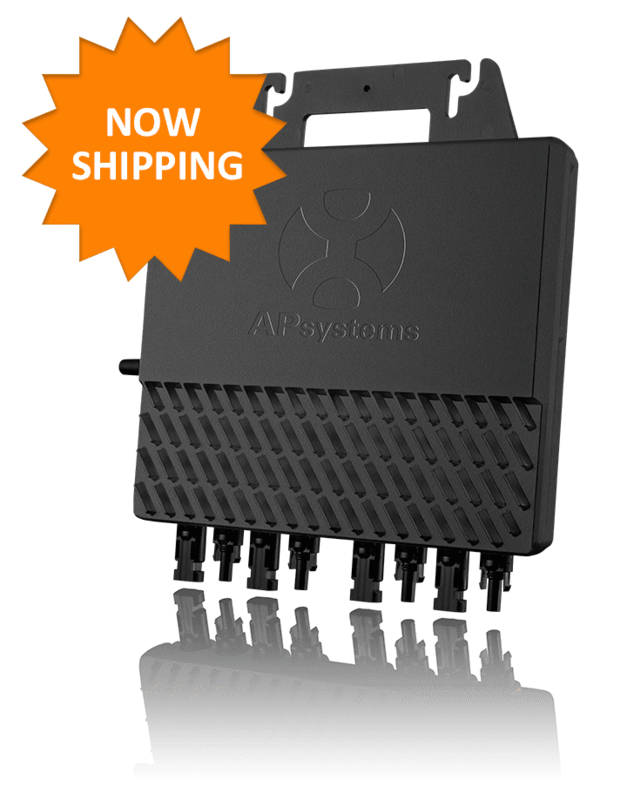 With over 250MW installed at the end of 2015, APsystems offers a proven power electronics architecture increasing solar harvest and ensuring maximum output for residential and commercial solar arrays. Offering the largest MLPE portfolio with the Dual YC500 single-phase series and Quad YC1000 three-phase series, an industry first. APsystems ranked no. 2 in global market share among microinverter suppliers by shipments in 2014 and 2015 (source GTM and IHS). “APsystems takes great pleasure in announcing the partnership between ourselves and Solar Nederland. As in many other European countries, people in the Netherlands and Scandinavia want to save energy, reduce their bills and do it through decentrally generated clean energy sources they own and control, such as Solar. 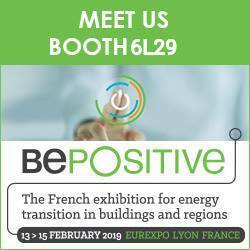 This dynamic, supported by self-consumption and net-metering schemes, is opening up new opportunities for HVAC or electrical appliances to interoperate with advanced solar solutions in the house or any commercial building. With its longstanding expertise, extensive product and service offer, Solar NL is ideally positioned to propose the right solution to their customers and help them differentiate in this highly competitive environment”. Declares Olivier Jacques, Senior Vice President and Managing Director, APsystems EMEA. About Solar Nederland B.V. 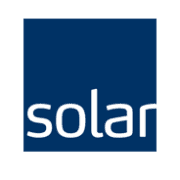 Solar Group is a leading European sourcing and services company, operating primarily within the electrical, heating and plumbing, and ventilation technology sectors. Our core business centers on product sourcing, value-adding services and optimization of our customers’ businesses. We believe in the power of yes and always strive to understand our customers’ unique and genuine needs in order to provide relevant, personal and value-adding services, turning our customers into winners. 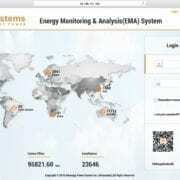 SEATTLE, JIAXING, LYON– APsystems today announced the launch of a new, redesigned version of its Energy Monitoring & Analysis (EMA) website APsystemsEMA.com. 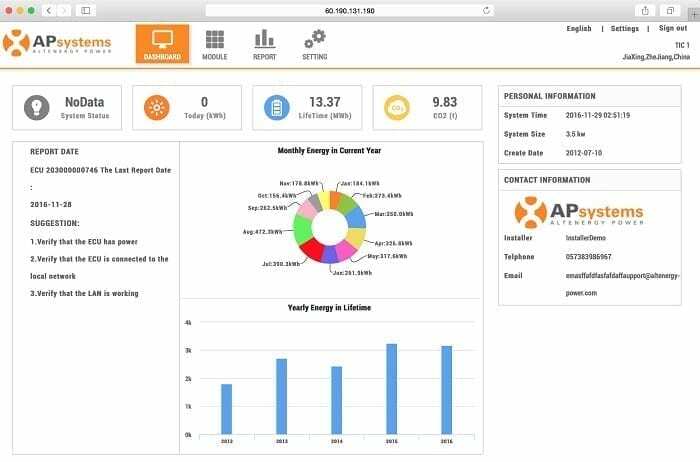 The web-based platform, available for free on any connected devices, monitors and reports module-level energy production of solar arrays that utilize APsystems inverters and provides that information to homeowners and end users in a convenient and user-friendly format. The site also enables APsystems-registered solar installers and contractors to lower their maintenance costs by creating and managing their customers’ PV installations accounts remotely. Key features of the new EMA site include a more attractive design, a more engaging user experience with an enhanced system dashboard, system management tools and improved reporting functions. Users can view their solar array performance using the same URL and log-in information as before at APsystemsEMA.com, through the APsystems EMA App or by visiting the APsystems website at APsystems.com and clicking “EMA Login” at the top right portion of the homepage. This article is also available in French and Dutch.